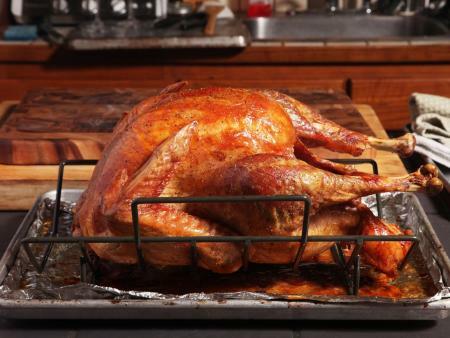 Enjoy a fresh Ohio-grown, range-reared turkey at a great price from the Poultry Science Club. All orders must be received by 5:00 p.m. Wednesday, November 7, 2018. Turkey pick up will be on Monday, November 19th from 1:00 p.m. to 7:00 p.m. and Tuesday, November 20th, from 11:00 a.m. to 7:00 p.m. outside Room 117 of the Animal Science Building, 2029 Fyffe Ct. Payment at pickup must be in the form of cash or check (made payable to Poultry Science Club at OSU). Payment must be made in full at the time of pick up. There is nothing like supporting a great club and having a fresh turkey on Thanksgiving Day. These vegetable fed turkeys are from Bowman & Landes Turkeys, Inc. and are free-range, raised in the open air and sunshine, without antibiotics. You do not have to be affiliated with OSU to order a turkey from us!! If you do not receive a confirmation email from the club within 1-2 business days of your order, please call Joan Jerauld at 614-292-6564 to make sure your order has been received. Order forms are located here. Order forms can be emailed to osupoultryscience@gmail.com or you can call Joan Jerauld at 614-292-6564 to order.